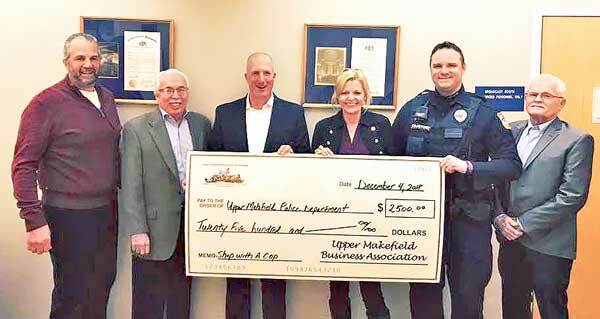 Upper Makefield Business Association - Times Publishing Newspapers, Inc. The Upper Makefield Business Association is a nonprofit 501(c)3, non-partisan association organized to stimulate interest in the development, promotion and public affairs of the Township and to promote good will and well-being throughout the community. UMBA is actively seeking individuals, families and local businesses as new members to help us grow our ability to help others in our community. If you want to make a difference in your community, joining UMBA is a great way to have fun doing it! *Washington Delaware Monument – UMBA partially funded and help maintain the monument of Washington crossing the Delaware outside the Washington Crossing Inn. UMBA meets once a month for a three-course dinner at the Washington Crossing Inn and the cost is included in our annual dues. If you love where you live and want to help promote what makes our area so unique, please come out to meet them and learn more. Visit www.uppermakefieldba.org or e-mail marketing@uppermakefieldba.org.